GWS's Rising Star nominee Alyce Parker has made a smooth transition from Year 12 in the small NSW town of Holbrook to the AFLW. Parker, taken with the Giants' first pick in the 2018 draft, made a big impression against Brisbane to earn a Rising Star nomination on AFLW debut. The 18-year-old midfielder will be one to watch on Friday night, when she faces the league's resigning best and fairest Emma Kearney as GWS host North Melbourne at Sydney's Drummoyne Oval. Eva, a highly-regarded coach who oversaw NSW/ACT's under-18 side during the off-season, has charted Parker's development closely. "She's certainly one of these younger players who is going to teach some of us older girls a few tricks and will show us up in many categories," Eva told reporters. "It's something we both had a laugh about early on, transitioning from coach and player to now teammates. "It's fantastic. Not just Alyce but many of the girls coming through the pathway, to play alongside them. The future is really, really bright." 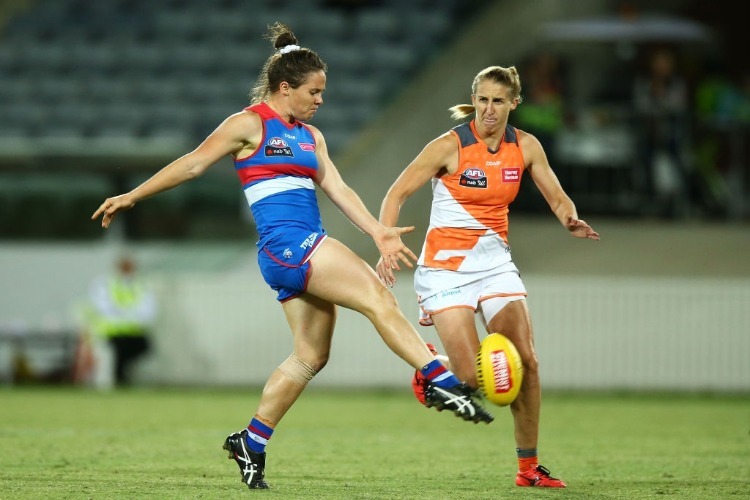 Parker suggested one of the imposing challenges in stepping up from youth football to AFLW has been shifting from the family farm, on the outskirts of the small NSW town of Holbrook, to the nation's most populous city. "Alica has helped me settle into the city and AFLW. I'm very grateful for everything she's done."